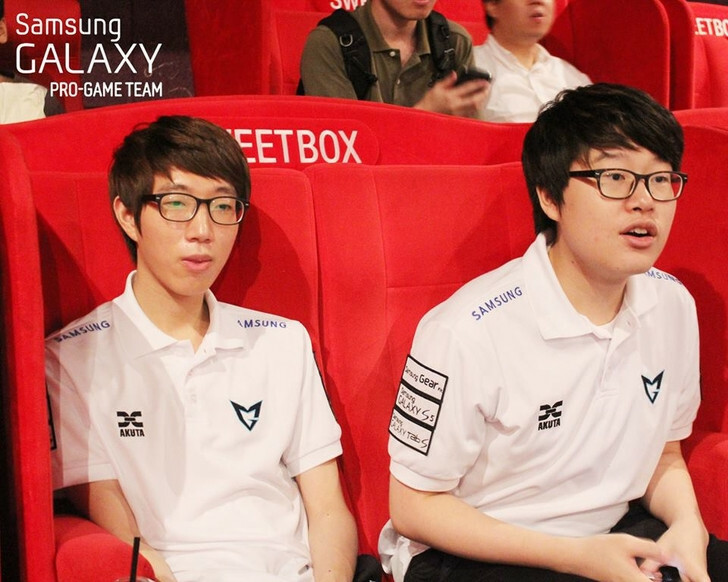 picture source : Official Facebook page of Samsung GALAXY PRO-GAME TEAM. yeeeeeeeeeeeeeeeeees DEAR FINALLLY! omg such a great player without a team for such a long period of time. what a mess. finally really happy for him! Finally this is confirmed, he's been living in the teamhouse for some time. Back to kespa, soooo happy for him omg. On the other hand same team with RorO, ewww. They could pickup Journey, he's looked pretty good recently. just a Fan | All the best for TotalBiscuit! Yay - finally official. Gratz Dear! Glad to see Samsung bolstering their roster for the next PL. FINALLY! Congrats Dear and Samsung! I'll never forget the level of play he displayed at wcs season 3 finals. It was the highest level of play at the time since 2012 taeja, and 2011 mvp, maybe even surpassing the latters. Really really really good news, this guys deserve to be in a top team, with good life/training conditions he can become the #1 protoss again. Plus SGK really seems an happy team atm, players seem to enjoy their life and the game, perfect environment for Dear to make a huge come back on the scene. Journey looking for a foreign team, so may that ship already sunk.